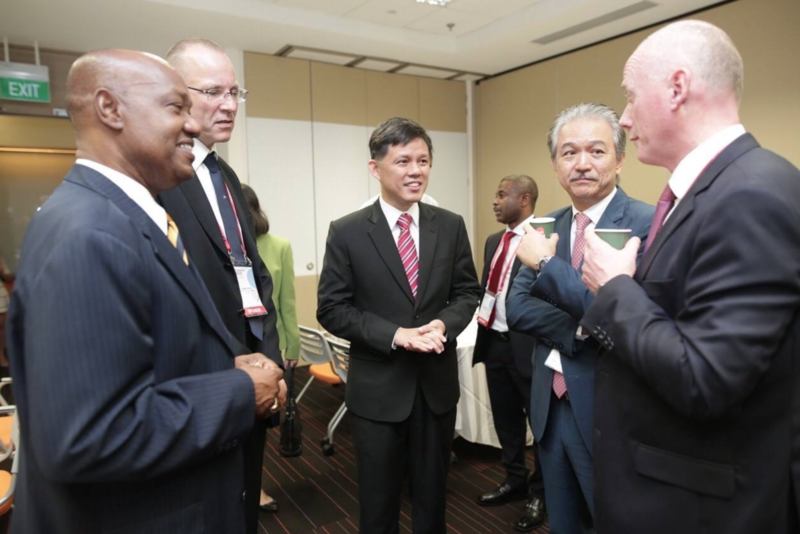 Chan Chun Sing Goes For The Hat-Trick — Is 3 His Favourite Number? 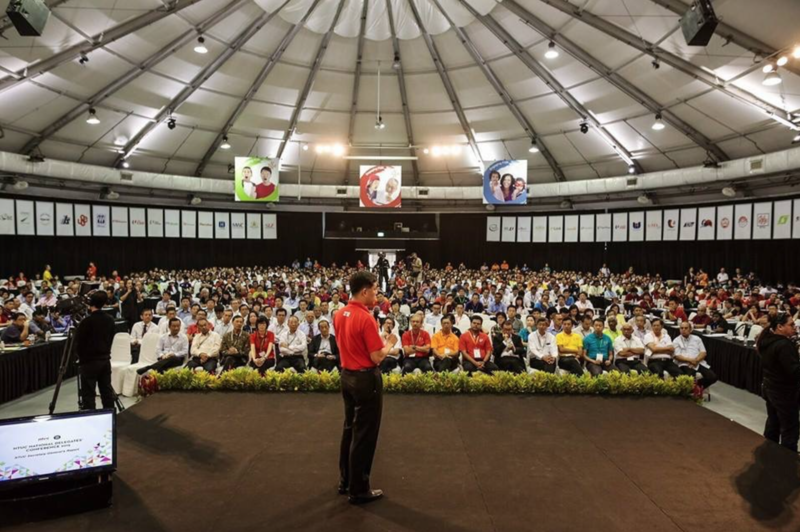 Chan Chun Sing is fast becoming an important person in Singapore’s political landscape in the next few years, having been elected into Parliament as well as into the role of Secretary General of NTUC. Most recently, he has announced his plans for Singapore’s labour movement, the problems he plans to tackle and the goals he hopes to achieve with the newly-elected members of the 21-member Central Committee (CC) announced. But what might surprise you about the way Minister Chan works is that he has a strange obsession with the number three. It is a prevalent number in all his speeches, Facebook posts, and the way he structures his goals for Singapore’s Labour Movement in the years to come. This is probably a small detail, but once you notice it, it’s hard to look away. Each one of his Facebook posts has exactly three points that it has to say, and more often than not, uses three paragraphs to say it. If you don’t believe us, take a look at his Facebook page and look through each post’s description. At the beginning of the NTUC National Delegates’ Conference (NDC) on 27 October 2015, Secretary-General of NTUC, Chan, shared the key achievements of the Labour Movement, mostly led by his predecessor Lim Swee Say, the previous Central Committee and the union leaders. The main three, he said, were the work that they did in caring for Low Wage Workers, pushing for Re-employment of Mature workers, and deepening the NTUC’s focus of PME workers. He shared some statistics: the Progressive Wage Model has benefitted more than 100,000 workers from 300 unionised companies, where the highest wage growth came from the lower percentile. They also called for a change in the retirement and re-employment act in 2012, making it so companies had to re-employ eligible workers beyond the age of 62. The introduction of the U Associates programme is also an aggressive initiative to be relevant to PMEs. With a new committee comes a new movement, and the Labour Movement is tackling the new changes that will be affecting Singaporeans. This includes — you guessed it — three main points: changes in the business environment, employee environment, and workers. With the changes and challenges that businesses are facing, such as faster product cycles, higher labour mobility across borders, and technology advancements, each company will require newer skills and thus employees will be faced with pressure to have higher and newer skills. Technological advancements are slowly displacing low-wage workers, and the struggle to keep Singaporean workers relevant in today’s world is much more imminent. After recognising all the struggles and concerns, Minister Chan shared that he spent six months visiting union after union and organising small group sessions to hear people out in order to craft NTUC’s strategy moving forward, which exists in — you guessed it again — three key areas: Care, Fair, and Grow. A common complaint by many Singapore workers is the difficult cost of living and work-life support. To tackle this, NTUC is going to focus not only on supporting their workers through their social enterprises, such as NTUC FairPrice and NTUC Unity, but also through managing wages through the progressive wage model and promoting a positive and safe work environment for everyone. Often it’s easy to feel taken advantage of in negotiating your livelihood, which is why NTUC aims to strengthen their dispute resolutions and collective bargaining, to make sure that a consensus can be made peacefully. One such example took place in July 2014, when the SMMWU brought China Airlines Ltd to the Industrial Arbitration Court to negotiate salary ranges for some of their employees. After much negotiation, the court agreed with the union that there was a need to review salaries, and a higher salary range was agreed upon. And we thought unions didn’t do anything. In looking towards the future, the unions will be looking towards not only providing workers with skills needed in the rapidly-changing workplace — as they have evidently secured in SkillsFuture — but also focus on strengthening and growing union leadership and union strength. With unionisation rates growing from one in five in 2002 to one in four in 2014, membership has been growing steadily, but NTUC is looking towards further growth to make sure that more people and companies are being represented beyond the currently existing 1,600 unionised companies. So after all this talk, what is Minister Chan planning to achieve? Well, 3 things: Better jobs for all; Labour Movement for all; and Tripartism for all. The first is easy enough to understand, while the second is more focused on growing the community and the movement behind NTUC. Labour Movement communities such as nEbO, U Family, Young NTUC and U Live are great avenues for activists to make a difference in shaping national policies. The third point, Tripartism for All, consists of a triplet in itself: a 3-Flow framework to strengthen and grow its leadership. The framework (Flow In, Flow Up and Flow On) was introduced to tackle the problem of a maturing and shrinking union leadership by becoming more inclusive and engaging (flow in), offering training opportunities and developmental roadmaps (flow up), and using advocacy to spread the word about the 3-Flow framework through alumnus and mentor engagement (flow on). Perhaps Minister Chan has an affinity with numerology, which shares that the number 3 brings an energy of optimism and joy — something that is ideal in the beginning of his Labour Movement leadership. Or maybe it’s just a way for him to make the activities of the Labour Movement much more inclusive — breaking down his points into three’s seems to make the numerous goals that he has on his plate much more digestible. Either way, it’s difficult to unsee the three’s in everything he says or does now. What will we see from his work in 3 years’ time, I wonder?